The music industry can be overwhelming. Just like running your own business (because that’s what it is! ), there are a lot of things to think about and manage in your career. When you’re working solo and can’t afford to build a team yet, it helps to have some overview or plan on how you should go about making a living from your music. As an independent artist, you have 3 general business models you can adopt to mold and build your music career around. As far as I know, these aren’t official models, but it should provide some clarity about which approach is best for you. Although I will talk about them distinctly in their purest form, they’re not mutually exclusive. This means you can technically incorporate aspects of all three models at once so it’s not black and white. Also, this is not a discussion about musician income streams, but more of a big picture overview. What are the types of models? The distinguishing factor between these models is how you approach monetization for your songs. Here’s a brief overview of each one with a more in-depth explanation further down. It’s not an official name, but something I came up with to describe this approach. This could also be dubbed a Mainstream Model because it’s generally what more established, mainstream artists do. They are in favor of making their music as accessible and available as possible on all digital and streaming platforms to remove any barriers for music discovery. A big tool that could help get people to find out about your music is playlists. Listeners can add songs to their playlist and share with friends. There are also automated playlists like Spotify’s Release Radar that show your new music in the playlists of those who follow you. You can also submit a song to Spotify to be considered for one of their editorial playlists. This model is a response to the fact that buying physical music has been on the decline over the past decade, so other income streams have become more of a priority for musicians such as live performances, brand deals, selling merch or even your standard day job. In this approach, the main income stream is through direct-to-fan music sales by limiting or restricting your music distribution. This could be done either by windowing it, making it only available through direct purchase from the artist (digital and physical). Or you can use distribution / sales platforms where number of song streams can be limited (like Bandcamp) to maximize the income potential. You can make songs or albums accessible on more streaming platforms at a later time. Or, you can opt to not make it available on any streaming platforms. Online music marketing expert Jacque Oszajca from Music Marketing Manifesto is a big advocate for this model. It’s a more feasible model for artists to make a living relatively quicker. However, it is much more dependent on online marketing. Part of the allure of this model is there’s less need to perform live in front of a physical audience, but you can still do it if you’re able to. Another variation of the direct-to-fan model are sites like Patreon where fans pay a monthly subscription for exclusive content and access to the artist directly. Fans subscribe or pledge to you on a monthly basis, often with different pricing and rewards associated with various tiers. This is not to be confused with crowdfunding campaign like Kickstarter or IndieGoGo, although they are similar. Which model is the best for me? As you can see, the major differences have to do with income sources and music accessibility. There are similarities as well, such as the goals of building a brand and loyal community. There is no right or wrong model, but each has their flaws. You can technically use all three at once, or a combination. What your career goals are – If you’re mainly looking goal is to sustain financially as soon as possible without having to “blow up” or “make it big”, then a Sales-Driven Model makes more sense. On the other hand, if you’re looking more for a larger audience potential and influence, then a Streaming-Model should be your focus. Where are you in your career – If you’re a relatively new artist, a Subscription Model may not be where you want to start. This is not to say it’s impossible, but I see it more as a next step once you’ve built an audience and become more established. What type of music you do – Certain genres can indicate fan listening habits. If it’s Hip Hop, R&B, Latin Pop or Metal, then it may make more sense to focus on a Streaming Model. What’s the demographic of your audience – Your audience or target market may be a generation from the “old school” who still prefer physical music over downloads. If that’s the case, a Streaming or Subscription model may not be ideal. How soon you want to make money from music – Theoretically, an Accessibility / Streaming Model would take longer for you to make a living while a Sales-Driven could help you get there faster. The downside is that a Sales-Driven Model requires more education and training in online marketing to make the most of this approach. Do you have issues that prevent you from performing live? – A big source of income for independent artist is live performances. However if you can’t perform live for whatever reason, then a Sales-Driven Model may be for you. In the next section, I will go over two key areas on how these models are similar and different. As mentioned earlier what differentiates these models is really how you monetize your songs and albums. In a Streaming Model, you are not depending on stream royalties because independents are often at a disadvantage competing against bigger name artists and major label mega stars when it comes to how payouts work for streaming services. Unfortunately, most independent artists won’t be able to live off money this way because they won’t get the amount of streams big names get. It doesn’t help that major labels have strong influence in what songs are included in popular, curated playlists so their artists get more exposure, and ultimately a larger share of streaming royalties. Generally speaking, platforms like Spotify and Apple Music calculate payouts based on total revenue they get from monthly subscriptions divided by total number of all streams. Depending on how many streams your songs generated, or stream shares as Spotify calls it, you get a percentage of that total revenue after the platform takes their cut. So let’s say Spotify brings in $1,000,000 of revenue and takes 30%. This leaves $700,000 to split for all artists on the platform. If you generated 1% of all the songs streamed, you will get roughly $7,000. Even though one of your fans listens to your music exclusively on Spotify, their $10 monthly payment is split among everyone else, with big name artists getting a larger share of the pie. Definitely not fair. This means that monetizing your music on streaming is a non-factor as a good majority of independent artists will not get anything substantial to live off of as an income source. Of course, each streaming platform pays differently and it will fluctuate. Every 1,000 streams on Spotify could pay you roughly about $4.37. For Apple Music, it’s $7.35 for every 1,000. With over a billion users, Youtube is counted as a streaming platform for music as well. The downside is for every 1,000 streams on Youtube, you would only net $0.69. Most artists I know would be lucky to get 1,000 streams, let alone 1,000,000 to see something sizeable. If streaming is shown to not be financially lucrative for independents, why would anyone continue to play along? It’s about forgoing short term income for improved music discovery for potential long term success. Keep in mind that this concept is not unique to musicians and can be seen in other types of creators including myself, as a blogger. Russ is a good example of this model, releasing all his music for free through SoundCloud. In theory, you are sacrificing short term profits by making your music easily accessible everywhere online for a potential increased long term success. In other words, you’re not making money directly from the music because it’s being offered for free. You’re removing any barriers to music discovery to make it easier to grow your audience. The music serves as a tool to attract potential monetization opportunities in the future. In most cases, you may still sell physical music because fans will want to support you in others ways. However, artists adopting this model make money with a day job, side hustles, doing live shows or selling merchandise, rather than making money directly from music sales or royalties. Not everyone wants to work a day job or is willing to play the long game, which leads to the next model. In a Sales Driven Model, you are maximizing your earning potential by limiting or restricting access to your music. After all, there’s less incentive to pay for music or support an artist if you can access it for free through streaming. The reason why many artists and record labels have been heavily impacted by this shift to music downloads and now streaming over the years is because selling physical music has a higher profit margin. Not too long ago, you could make at least $9 each CD sold by charging $10 to $15 dollars for a CD that cost about $1 to press. Selling one CD made more money than getting one song streamed 1,000 times on Spotify or even Apple Music. It will cost artists more than $1 to generate over 1,000 streams to see the same type of return a CD would bring. In this approach, you are leveraging Facebook Ads, landing pages (or squeeze pages) and email marketing to attract and nurture a loyal following to monetize directly. You can sell your music to fans with platforms like Squarespace, Shopify and Bandcamp to keep most of that money as profit. The fact is there are true fans who will support you financially out there, so this approach is really about seeking out those people through various marketing strategies. There’s less need to do live performances so it’s great for people who have issues with travel restrictions. The obvious downside with this approach is you’re putting financial barriers on content that people in society are accustomed to getting for free. Also, this windowed approach to music releases is that it can hinder your potential to reach a larger audience because it’s more limited. Lastly, it requires certain training and understanding of online marketing for this approach to be effective, which I will touch on in the next section. 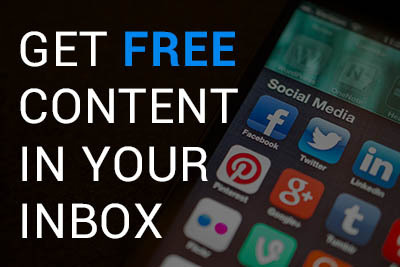 In the Subscription Model, fans pay you a monthly amount or pledge to receive content from you. You can also charge per creation you publish. The average amount fans or subscribers pay (patrons as they’re called on Patreon) is $6.70. Getting 1,000 people to pay you $5 a month should allow most artists to live comfortably from this income alone. The problem is it’s not easy as I will address in the next section. Just like in a Sales-Driven Model, there may be some level of content accessibility restrictions. Or you may want to create content exclusively for Patreon like what Eligh does for his channel. The difference is you’re actually getting paid a set amount each month for your work. In some cases, you will have to figure out what kind of extra value you can provide in Patreon that people can’t get anywhere else. Unlike a Sales-Driven Model, Patreon takes a cut of what you earn through your patrons. This fee can range from 5% to 12% of your total earnings. In every business, you need your fans or customers, so it’s important to understand how it is approached in each model. Growing an audience on social media and developing a strong brand are essential for any model, but here are some things to consider. If you’ve read my blog on Fan Funnels, you’ll see how it all relates. A Subscription Model will likely depend more on you having an established audience or fan base in order to be successful. The idea is to attract current fans on platforms like Instagram or Facebook to pay you monthly. One big challenge is that Patreon, and even the concept of paying a subscription to a music artist, is still foreign. Because of this, it can be difficult to lure people over to a monthly subscription model no matter how big you are. Social media ads could be used to grow subscribers. For Eligh, we use Facebook and Instagram ads every month to promote new exclusive content to lure his fans on other social media channels into his Patreon funnel. I’ve seen a number of independent artists with a large following try Patreon, only to fail and completely abandon it months later. From working with Eligh and helping him run his Patreon which has been quite successful so far (I plan to do a blog on Patreon in the near future), I can tell you it’s not easy! I think it’s important to incorporate elements of your brand into Patreon if that is something you are looking to pursue. As a former drug addict, Eligh’s brand is largely tied to rehab and over a decade of sobriety so it’s an underlying theme in his channel and music. In a Sales-Driven Model, you are heavily dependent on using Facebook Ads and e-mail marketing to grow a fan base. Part of this model is being able to make money from your music without having to tour and do live performances, which I like to think of as important avenues for exposure and engagement. In general, the way it works is you use Facebook Ads targeted towards certain types of people who are likely to enjoy your music based on certain demographics, locations and interests. The goal is get people to click on your ad so they are taken to a squeeze page where you entice them to give you their e-mail address in exchange for content such as a free download of your music. Once you have their e-mail, you would take them through a series of automated e-mails that can help to nurture your relationship with them, which eventually leads them to buy music or merch directly from you. For some, people may not want to bother learning all that. Not to mention, you really have to understand branding and writing effectively ad copy as well. 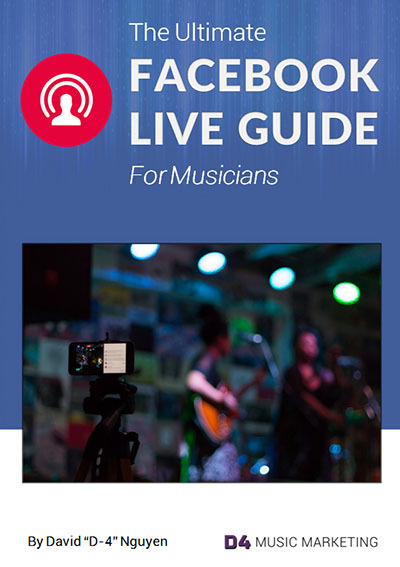 In a Streaming Model, you still want to utilize social media ads and understand online marketing to get more exposure, but you would also want to do live performances as much as possible. It’s not scalable and can be slower trying to get fans one by one, but I just feel there’s nothing more authentic as recruiting fans through real life. As you can imagine, branding and building relationships with fans is essential for all models. In a Sales-Driven Model, you are more dependent on developing that brand because the goal is quality over quantity. You are looking for those loyal, die hard fans to help financially sustain you quicker. I know the Streaming Model gets the most attention, but hopefully this blog helps to show that there are alternatives. I’m not fond of a Sales-Driven Model, but I did my best to be objective in presenting it in this blog. I feel there are some artists who feel streaming isn’t right for them and there should be other options. Personally, what I use and advocate with the artists I work with is a Streaming / Accessibility Model. I also like to call it the Adaptive Model, as it’s about having an adaptive mindset to changes or trends in consumer behavior and in the music industry. This approach comes with the obvious drawbacks of streaming not paying enough, as discussed earlier, but makes the most sense in today’s climate. This is not to say a Sales-Driven Model doesn’t work, but I feel it’ll become more limited in time. I’ve met a couple of people who have used this approach they learned from the Music Marketing Manifesto with some success. The big problem is even music downloads are becoming irrelevant, so you really have to be creative with your offer to get that e-mail address. There’s no doubt that there’s always going to be people willing to support the musicians they like by buying their music, but the trend is showing that depending on people to buy music is an uphill battle. Some people just want to make a living directly off music as soon as possible. Some people want to be famous and are willing to wait. Like I said earlier, there’s no right or wrong way, so hopefully this blog helped you figure out what’s best for you. Be the first to get all my new blog and video content so you can stay ahead of the game. D4 Music Marketing is an online marketing resource for DIY musicians who want to maximize their ability to make a living off music and change the lives of people along the way. The aim of this blog is to help you stay on top of the best practices, insights and strategies to increase music exposure and attract life-long fans. By emphasizing the importance a strong foundation, you will be better equipped to navigate the ever-changing online landscape with a clearer focus and direction towards independent success.